Adept cms provide general grounds maintenance services such as grass cutting, hedge trimming, tree surgery, grass weed and feed, planting, weed and moss control along with our pressure washing service. 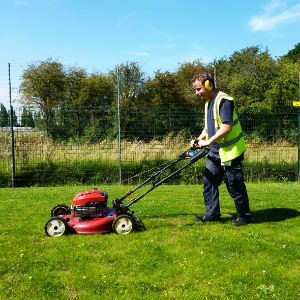 Regular grounds maintenance as always is key to keep your grounds and property looking appealing to you, customers, staff and prospective clients. 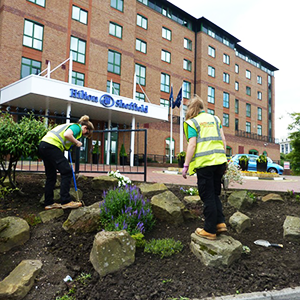 The grounds around your business are the first thing that visitors will see, so it is essential that you keep them in perfect condition. This can help make your business more attractive to potential customers. 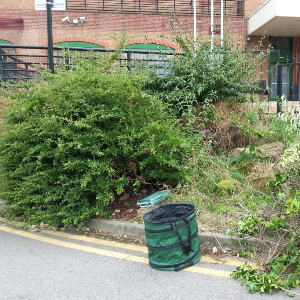 Well kept and retained trees, shrubs & hedges will increase safety in parking and low lit areas around buildings. A beautiful landscape can help to motivate you and your staff, increasing positivity & pride in the workplace. Studies have shown even the sounds of nature can help alleviate anxiety and depression. At an initial consultation, we’ll discuss what we recommend and exactly what you want, and then deliver it. We can do it all from grass cutting, hedge trimming, weeding, planting, tree surgery, lawn weed & feed to moss algae & lichen removal/control. Fully insured with years of experiance. Satisfaction Documents provided so you know the job is done right. Usually from March/April to October/November, depending on weather conditions. A frequency of anything from weekly to monthly depending on your specific needs & grounds.